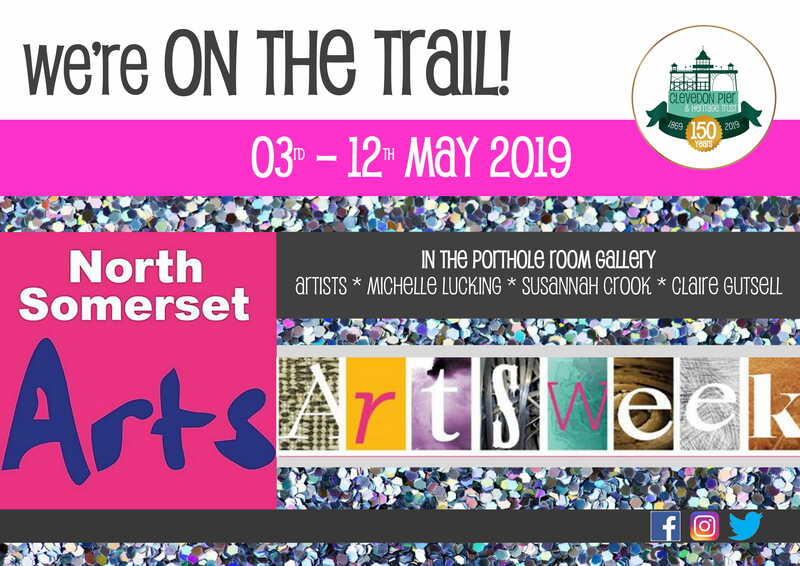 Back by popular demand this is year, Clevedon Pier is a venue on the North Somerset Arts Trail showcasing the work of three fantastic artists in our Porthole Room Pop Up Gallery. Don’t miss the return of Michelle Lucking and Claire Gutsell and the Clevedon Pier debut of Susannah Crook who will be join us at the Pier for one week only! North Somerset Arts (NSA) was founded in 2002 as the first community-led arts not-for-profit organisation in North Somerset. The aim of NSA is to promote artistic and cultural activities by professional and amateur artists, in order to increase public involvement and awareness of the arts within North Somerset. The Pier has given up the gallery space for free in support of this fantastic organisation and we hope you don’t mind helping us to secure the future of the Pier for another 150 years by giving your Pier entry. Of course we hope you’ll have time for a pier walk whilst you are with us in this inspiring space.